(December, 2011) A product of a musical family with strong Jazz influence, I started playing piano at the age of 6 and sang in choirs throughout my school years. My Dad was my strongest influence who, to this day, at 94 years old, still plays sax, trombone and clarinet and has his own dance band. Coming through the 60’s and 70’s with a background in blues, jazz and light rock, I played in home grown bands until the 80’s. With the advent of raising a family, I quit the band scene but kept playing keyboards and began writing music. As my faith grew, I started playing at our church and became a worship leader. Today, I play in a Gospel Blues Band "Light Blue" who play at soup kitchens, prisons, and private gigs. I enjoy playing my Tyros 4 solo at church and, known as "Just One," I perform at private functions. I also write gospel, jazz and blues songs and create music to poetic lyrics written by my brother-in-law, William Preston. 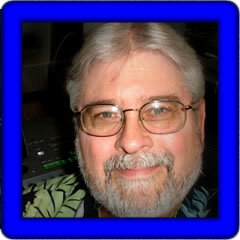 Ken provided 20 songs in midi format. These were created on the Tyros4 (T4). Individual songs are shown in the table below and any one song can be downloaded by right-clicking on the song link. The table displays the song title, tempo (T), time signature (TS), lyrics (L), chords (C), where possible, the style used, the original volume (V), and the keyboard used (K). You can download Ken's 20 MIDI songs here: KS-T4.zip.